Mindfulness. Being present in the immediate. Slowing thoughts, breath and body to feel into all that is right now. 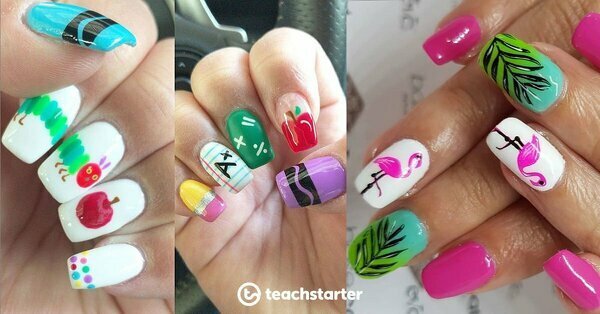 This blissful, calm state is one that we’d all love in our classrooms a little more often, right? Incorporating mindfulness activities into your daily classroom routines is one way to incite this kind of calm. Mindfulness colouring is another! 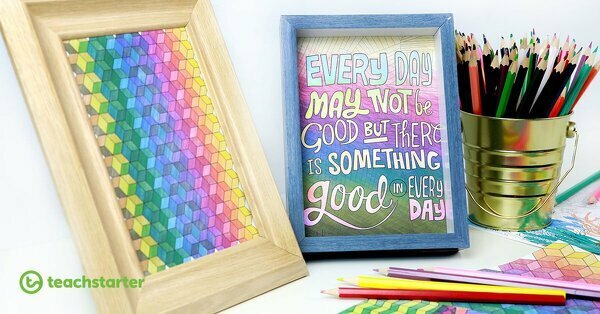 What Makes Mindfulness Colouring So Great? What we love the most about mindfulness colouring is that it is so simple and easy to do. 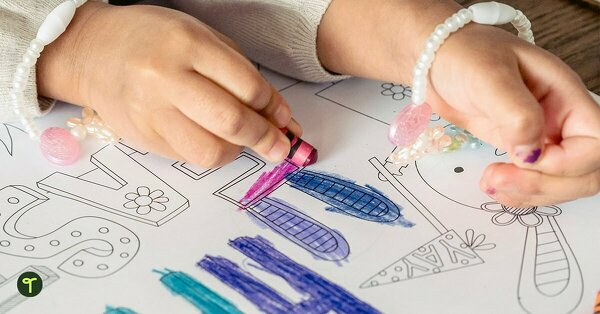 While some students might struggle at first with other more active mindfulness practices, mindfulness colouring, by its very nature, helps even the most active and busy child (and adult!) slow down a little. 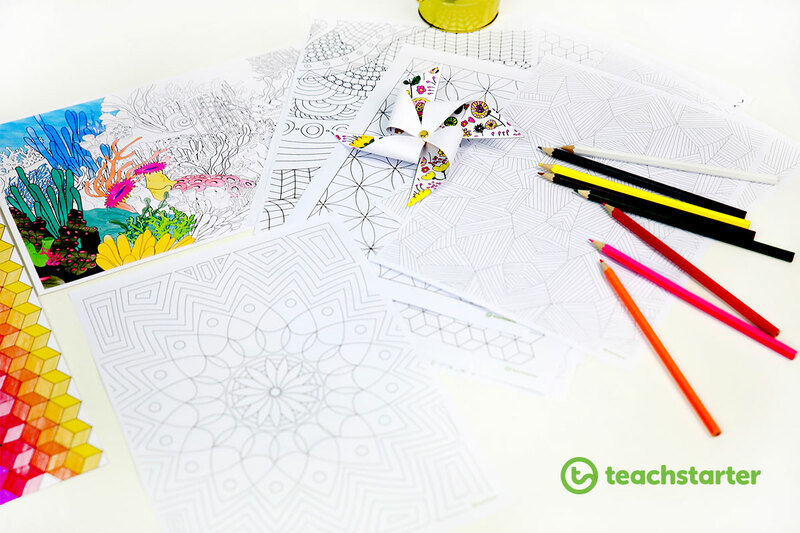 We have a great series of printable mindfulness colouring sheets that you can use in your classroom. 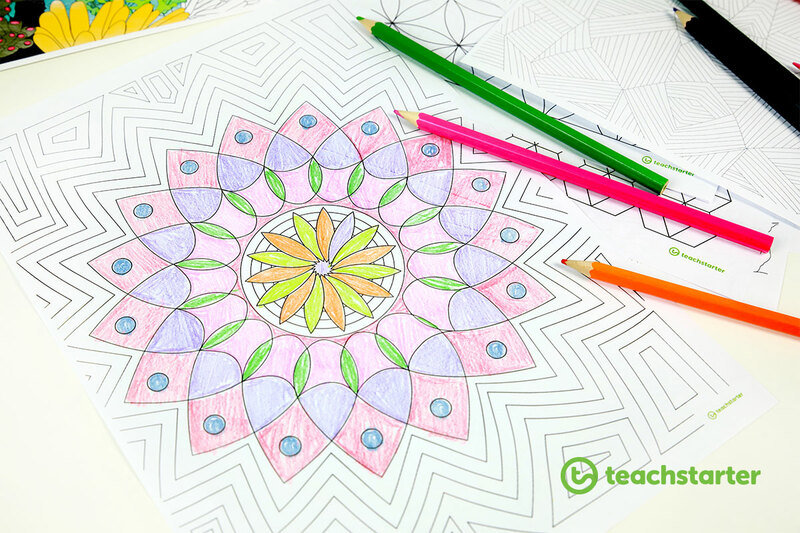 Here are some wonderful ways you can use these mindfulness colouring sheets with your students. Colouring in is a fun reward that students of most ages enjoy. 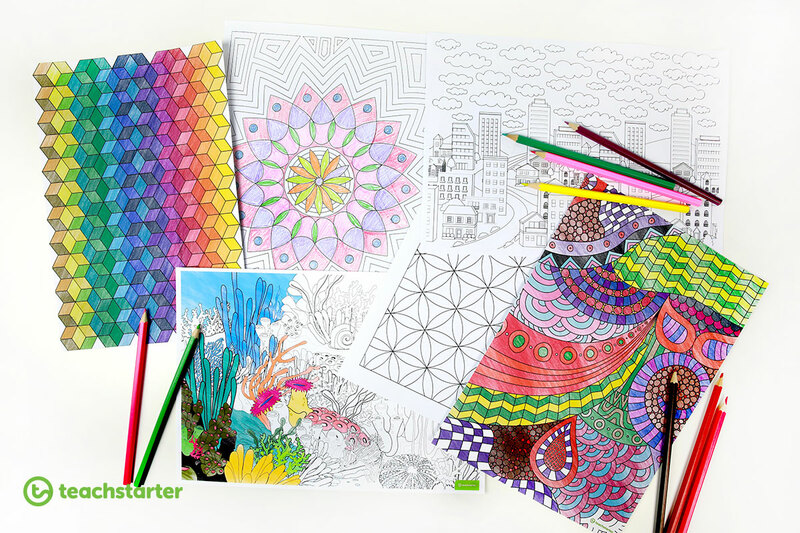 You may like to use these mindfulness colouring in sheets as part of a classroom reward system. Similar to use as a classroom reward, the colouring pages make a fantastic fast finisher activity. Photocopy a selection of mindfulness colouring pages into a booklet for students to work on progressively. Perhaps my most favourite idea is to create a mindfulness colouring classroom display. 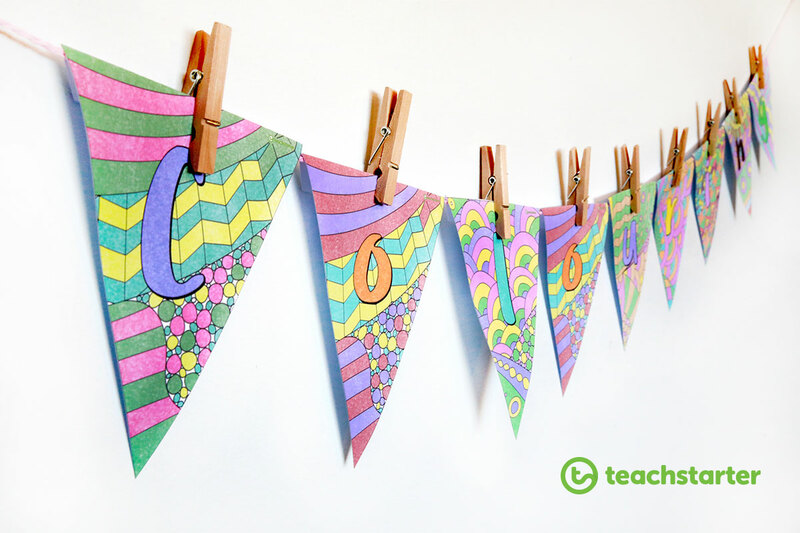 We have a beautiful customisable Mindfulness Colouring Letter Set and Mindfulness Colouring Letter Bunting Flags. You could print either of these out to use as the display banner. Then, as students complete more and more mindfulness colouring sheets, they can add their completed pages to the display. Last, but not least, is this gorgeous Mindfulness Colouring in Pinwheel Activity. 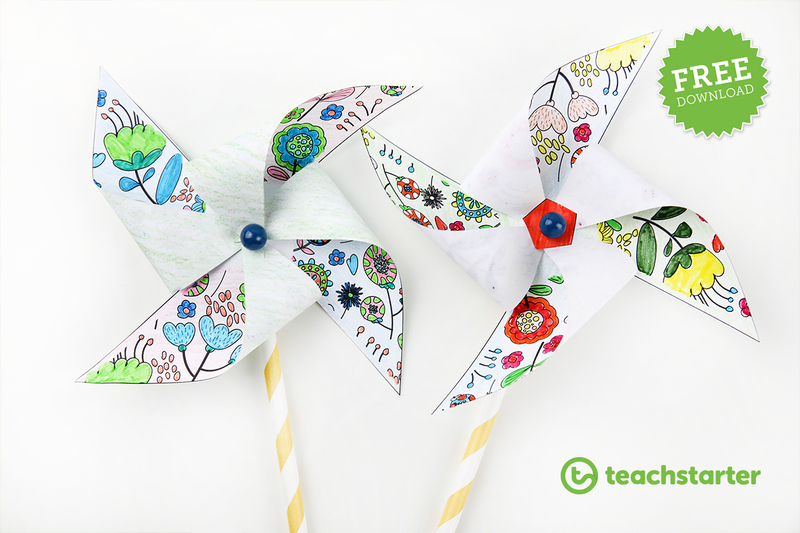 This template is free to download and ties in beautifully with the pinwheel activity in our Mindfulness Activity Task Cards. Here are some of our most popular mindfulness colouring sheets. Use colours to create a pattern using this sheet. A set of 3 mindfulness colouring-in sheets. 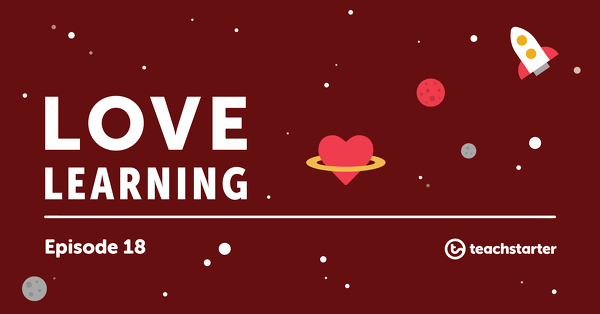 You may also like to see our full collection of mindfulness teaching resources, which include Mindfulness Activity Task Cards, Mindfulness Activity Trackers, Guided Meditations for Kids and a helpful Mindfulness Information Sheet for Teachers who are new to mindfulness in the classroom.